You have only 46 moves. This level have normal difficulty and you should play with the trick that me sharing complete this level easily without wasting lives. 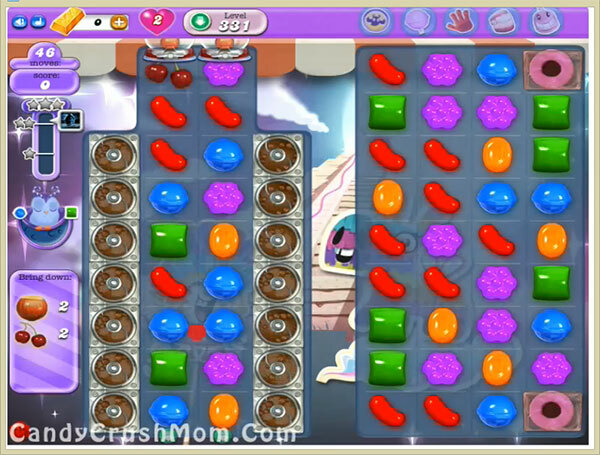 For this level you should try to make striped candy and wrapped candy to move ingredients and make sure to break chocolates in every move. As moon struck try to play with special combos like colorbomb with striped candy to easily take down ingredients without unbalancing the Odus owl. We completed this level with 115240 score using same strategy that we posted above and got three star score before few remaining moves.